BOOKING is OPEN for this Sunday morning beginner course in Stanmer Park, Brighton. Two places remain !!! Sessions will run from 11am to 12.30pm on Sundays 24 February and 3, 24 & 31 March. Two extra dates of 7 & 14 April will be held in case they are needed to complete the course. The price is from £43.00 per person depending on numbers. 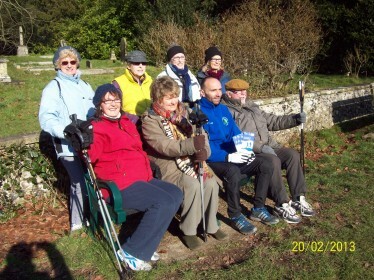 To make an enquiry or book a place, click on Nordic Walking for Health to send an email or text/phone 07813 524587. - full course payment is required before or at the first session.